Location: Oldham Springs Resort (5 miles from Downtown Gatlinburg & Pigeon Forge) This amazing, Smoky Mountain log cabin has two master bedrooms on the main floor (great for physically challenged individuals, elderly, or young families). The spacious loft features a large game room with pool table, foosball, air hockey, TV, and a bonus sitting area! NEW: This exclusive cabin has a 60-game video arcade game being installed for additional fun and entertainment! The bunk beds in the loft will make the kids feel like they have their own private retreat! You will appreciate the lovely decor and fine furnishings this beautiful Pigeon Forge cabin offers. 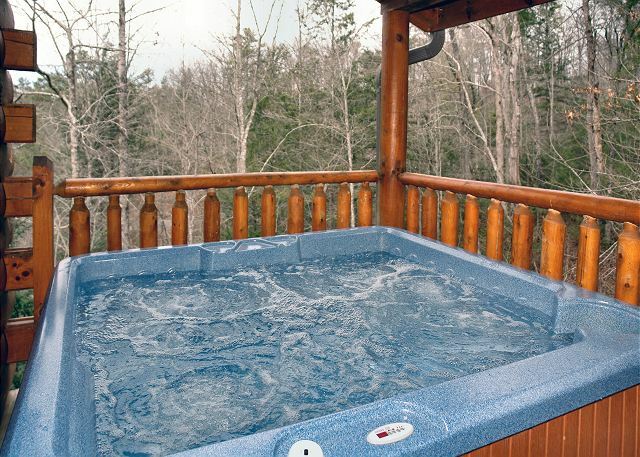 Relax and enjoy the wooded views and mountain ridges from your private hot tub, or spend a relaxing evening in your master suite with jacuzzi and fireplace! This log cabin has a dependable WiFi source to bring you internet access so you'll have access to your social media, email, or other business/personal accounts. Shamrock Lodge is pet friendly, so it is perfect for all members of your family! Get the most out of your vacation with one of the finest lodges in the Smokies! This vacation log cabin is in a gated community for added security & is located on a beautiful one acre land lot. 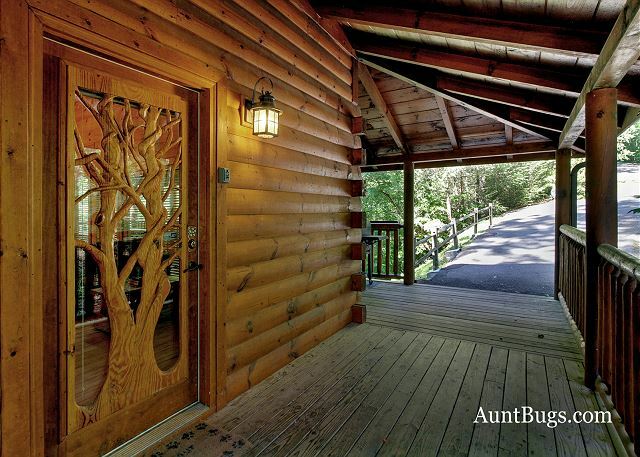 Reserve this luxury cabin and you'll enjoy an unbelievable vacation in the Smokies! Rates are based on 4 adults. Each additional adult is $12.50 per night. Pets must be registered for $75 per pet (40lb or smaller).